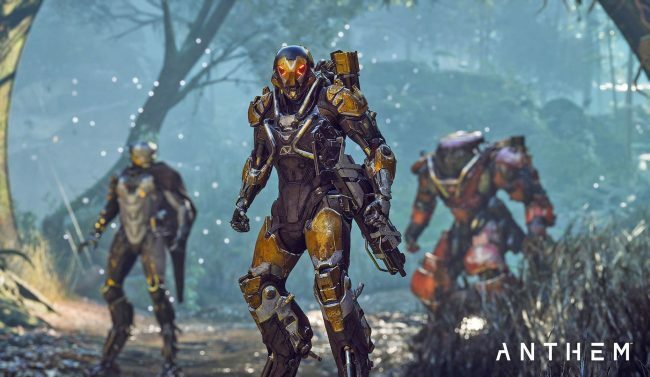 Hold on to your jetpacks, Freelancers, because Anthem is coming at you with a *ton* of updates, improvements, and fixes in its latest patch. EA and BioWare have shown no signs of stopping the updates from coming and have seemingly made good on their promise to improve the game, so far. As for the latest Anthem updates, let’s get into some of the key features included. There are a couple new features this update will bring, like new Legendary Missions. These missions will allow you to replay them at a higher difficulty and will change, daily. You’ll also see Elysian Caches, which can be earned by completing daily challenges. They can be used to unlock vanity and crafting materials, which can lead to useful in-game items. There will also be changes to the way loot works in this update. Chests will have a chance of dropping additional items in Freeplay, Stronghold, and Missions. The same can be said about Apex creatures, as they will have a chance to drop extra loot. Finally, playing on GM1 difficulty or higher will allow for Stronghold bosses to drop more loot, as well as additional Masterwork and Legendary items. Some bugs will be fixed in update 1.0.4, too. There will be a fix for an issue in which a second pilot could enter the Tombs of Legionnaires quest before acquiring it, as well as a fix made to the respawn timer, in which it will no longer reset after a revive attempt by another player is interrupted. This doesn’t even scratch the surface of how many improvements are included in the latest update. You’ll see fixes to missions, performance, weather, and more. Are you still playing Anthem? Will the constant barrage of updates keep you around? Let us know!